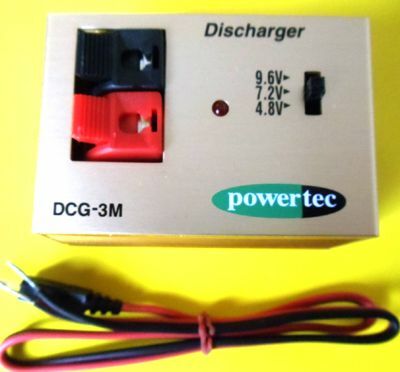 PowerTec Battery DischargNIMH and NICAD Battery discharger. Transmitter and Receiver batteries develop very often a battery Memory. That means if the batteries are not discharged or charged fully they might learn to provide less power. The discharger will discharge TX and RX batteries and will wake up dormant reserves, which will give you longer and safer operation of your TX and RX batteries.